The New Zealand Bar Association promotes and encourages a high standard of legal representation and advocacy in New Zealand legal forums. One of the ways in which this is achieved is by promoting opportunities for the acquisition of practical litigation skills and gaining a deeper understanding of the conduct of litigation and the nature of advocacy. The Mastering Advocacy Programme provides such opportunities. It uses a combination of theory, performance and critique to ensure that each attendee receives the maximum learning experience. Advocates will have an opportunity to view a range of skills and styles over the course of the workshop, and will gain insight into what might work for them. We have an extremely low participant to coach ratio of 2:1, which ensures that individual attention. We are honoured to have the Chief Justice of New Zealand, Dame Sian Elias GNZM PC QC, as our patron. Our coaches are senior members of the profession who are known for their experience and skills. We are also fortunate to have current and retired members of the judiciary who take on the role of judges in the workshops and provide advice to the teams during their coaching sessions. The Mastering Advocacy Programme breaks the litigation process into discrete, manageable sections covering the core aspects of litigation such as openings and closings, cross-examination, appellate advocacy etc. Practitioners will be given an in-depth understanding of the particular aspect of litigation focussed on, followed by intensive practical sessions. Theory of Advocacy – regular webinars are offered on a range of advocacy topics, from preparing pleadings and submissions through to litigation technologies and using these in court. The webinars are stand alone units or can be used as background preparation for an upcoming workshop. Theoretical Basis to Workshops – prior to the full day practical workshop, participants will attend two 1.5 hour webinars which focus on the theory underpinning the skills’ sessions and help participants prepare for the practical exercises. Be given a final individualised summary of performance and areas to consider. The feedback will be constructive and clear about what each attendee needs to address. Depending on the module, the total time involved in attending a Mastering Advocacy Workshop would be between 10-15 CPD hours. We sometimes offer shorter Masterclasses, ranging from half a day to a full day, such as Paperless Hearings Workshops or Voice Masterclasses. Participants are expected to prepare before attending the workshop. They will be sent a casebook or other materials and be expected to have thoroughly familiarised themselves with these. They will then prepare an outline of their case/draft submissions/presntation etc. and have this ready for their first workshop session. We estimate that participants should allow at least five (5) hours for pre-workshop preparation. There will also be two pre-workshop webinars of one hour each. 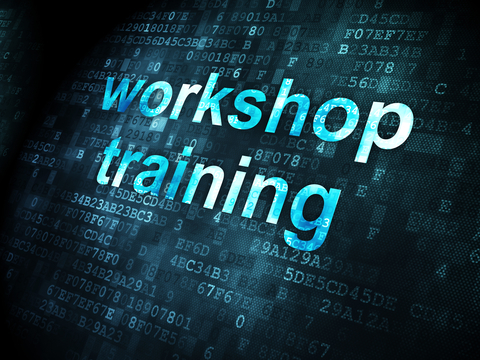 These will cover theoretical aspects and give information on how the workshop will be run. Presenting these sessions prior to the actual workshop allows concentration on practical learning in the workshop. The workshops themselves range from full to one and a half days.